Arriving into Hanoi it was dark and very foggy. This fog has continued to appear during my stay and I am beginning to realise that it is the pollution. Compared to Shanghai, it is quite a shock. I haven't looked at the pollution stats but just walking around the old quarter, you find yourself coughing more than usual and breathing in all these unusual chemicals. It doesn't surprise me the pollution is bad as there are street fires going off randomly, rubbish all over the street, and many motorbikes/cars driving around endlessly. Clean is one of the things Vietnam is not. You will find every street is covered with rubbish, eventually led to being gathered up in piles at the end of the day. However, being a very active city, it would be very hard to control this mess, and the Vietnamese don't seem to care much about it. Outside of the city, you will find the wider streets are in better condition and don't have rubbish spread across them. You find these pits every few miles which are full of rubbish and start producing smoke from the heat building up through it all. I have seen better road conditions in my life. The road surfaces are unbearable for long journeys as they are incredibly bumpy and just uncomfortable to drive on. 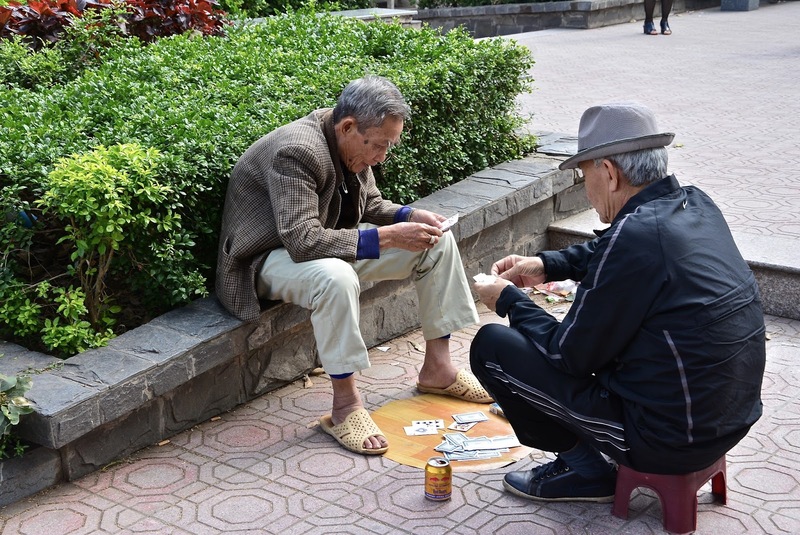 In Hanoi, the locals are quite similar to Chinese in respect to how much they stare at you if you are a Westerner. More people will stare at you if you have your arms or legs out as it is part of their culture to cover up and we should respect that; which I completely understand. In regards to the language barrier, it would definitely help to speak Vietnamese. Obviously, it would be helpful to speak the language of any country you go to. But, Vietnam is one that has especially stood out for me as their knowledge of the English language is very poor. Even the tour guides English was awful. This is because their English classes were taught by locals which also had very limited understanding of the English pronunciation. As well as pronunciation, their accents are very hard to pick up on. A lot of the time I have thought they were speaking Vietnamese when they were actually speaking English. I thought China was bad with motorbikes but Vietnam is a whole new level of fear. Since my hostel is in the Old Quarter, the roads are very narrow, some too narrow for cars to fit through. Therefore, motorbikes are easier to get around by. I have actually been physically hit by two motorbikes so far and they look at you as if you are the ones to blame even though they can see me whereas I cannot see from behind. My fear of these streets will not go and it's probably the only reason why I am excited to leave. These motorbikes seem unsafe but, in this city, it is probably the safest way to go around. Taxis here can be very dodgy as some companies are rip-offs and can charge you nearly 3 times as much as you should pay. In fact, there are only 2 companies that my hostel have recommended I use and seeing it's Chinese New Year this weekend, it isn't easy to get one without booking. It definitely isn't like China where there are taxis driving past you every 5 seconds. Vietnamese dishes mostly consist of noodles which I don't eat so I wasn't getting my hopes up. However, yesterday, this one famous food called Banh Mi, which is a crunchy baguette sandwich with a filling of your choice. If you go to the right place to get one, as some can look dodgy, they are the perfect choice for your lunch. Have I sold Hanoi to you yet? 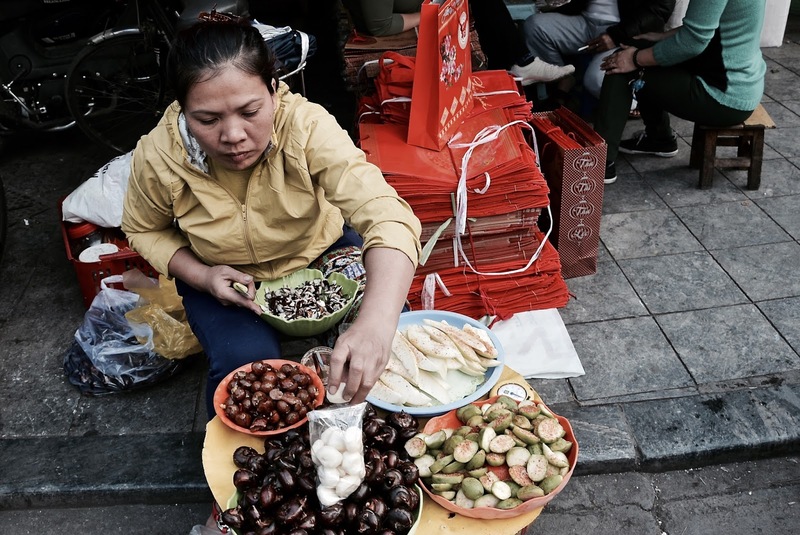 Even though I have given a negative view of Hanoi, these are all the negatives. The city as a whole is beautiful and varies so much. The contrast between the Old Quarter and the expat area is very strong; you go from small shack shops to high-end shops within 10 minutes. 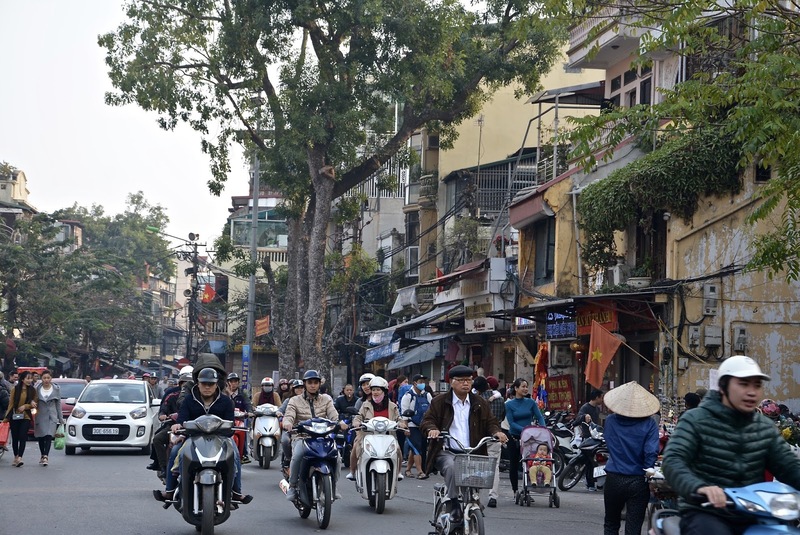 Have you travelled to Hanoi before? Did you enjoy it?